Each year, 1.3 billion tons of food ends up lost or wasted — 46 percent of the world’s garbage. While the global food waste situation is what you’d call a “doozy,” consumers and companies like HomeBiogas are determined to turn food waste into clean, usable energy. Read on to find out how. 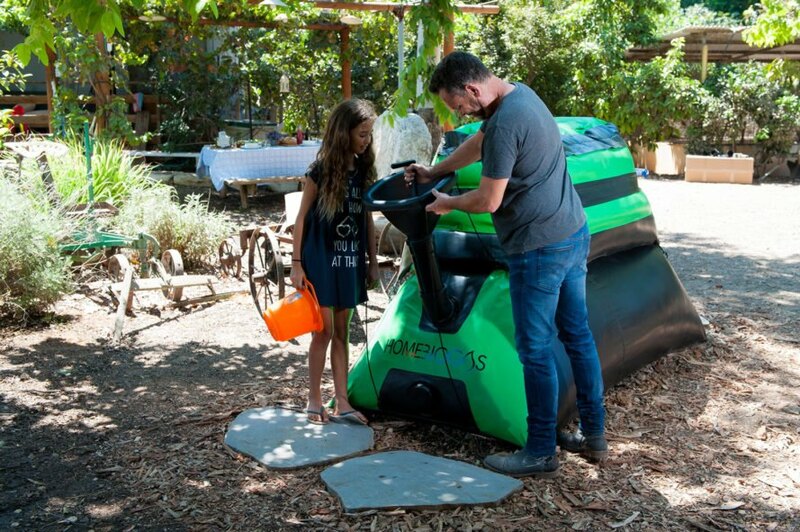 HomeBiogas is one of several successful projects to come about from Kickstarter. The Israeli company, which began its crowdfunding efforts in 2015, focuses on turning everyday food waste into energy for your home. How do they do it? With compact, household-sized biogas digesters that support anaerobic digestion, a process with zero oxygen and hungry bacteria that are ready to dive into last week’s moldy bread. Since the company’s launch in 2015, consumers have responded enthusiastically to their efforts. In fact, they blew past their crowdfunding goal for both biogas products. The second version, HomeBiogas 2.0, exceeded its initial goal by more than 400 percent. In dollars and cents, that translates to more than $490,000. OK, so consumers love it, but how does HomeBiogas work? Like the 27 million biogas plants in China, but on a smaller, less commercial scale. The process is alike, however, because every biogas system operates on the same premise — anaerobic digestion. 1. A user pours food waste into a funnel, where it enters the oxygen-free tank. 2. Water and bacteria begin digestion. Bacteria can come from a starter kit or from nitrogen-rich substances like chicken manure and shellfish shells. 3. Fermentation produces methane, carbon dioxide, and other gases. 4. Gas enters a storage tank for use via a pipe to your kitchen. 5. Liquid fertilizer becomes accessible via a spout for use in landscaping. In addition to bacteria, sunlight also contributes to biogas. Why? Bacteria love and thrive in heat, which means a well-placed HomeBiogas in a climate with temperatures around 68 degrees Fahrenheit digests food waste at a more efficient rate, which translates to more clean energy for you. What Does HomeBiogas 2.0 Do Better? Upgraded efficiency: The new model promises a 50 percent boost to its processes. Increased capacity: HomeBiogas 2.0 doubles its storage with space to hold up to 185 gallons. Improved construction: The latest biogas digestor offers a lighter weight, plus more durable build. Enhanced installation: HomeBiogas 2.0 requires only an hour of your time to install. And if you’re worried about HomeBiogas filling your home with the nose-assaulting smell of decomposing food, forget about it. The team equipped its products with an airtight seal and filter, while using water to submerge food waste in the tank eliminates odor. How Can You Use This Clean Energy? Back in the 2000s, The Black Eyed Peas asked, “What you gon’ do with all that junk?” While they weren’t referencing food waste, there are plenty of ways to use the clean energy from your converted organic junk. Cook up to three hours each day. Just place your HomeBiogas less than 65 feet from your kitchen or patio and connect the two with an included pipe. The biogas can connect to a countertop stove or double-burner setup. Nurture your gardens with the liquid fertilizer produced by anaerobic digestion. HomeBiogas 2.0 features a user-friendly pouring sleeve, which makes it easy to dispense fertilizer into a water pail. Support families in underserved communities. When you purchase a HomeBiogas 2.0, the company directs some of those funds to install their products in countries like Jordan and Uganda to combat indoor air pollution from cooking fuels. Like solar, wind and geothermal, biogas is a renewable energy source — and one that’s financially viable for consumers. As long as you have access to organic materials, like plants, you can count on the energy from biogas. As an additional benefit, biogas powers itself with pre-existing waste. What Does HomeBiogas Mean for the Future? Our planet wastes an enormous amount of food, yet the efforts of HomeBiogas and consumers around the globe demonstrate there is a motivation to do better and to reduce the waste that’s dominating the world’s landfills. What does that mean for the future? Hopefully that more people will adopt a lifestyle that thrives on clean, green energy. Each year, 1.3 billion tons of food ends up lost or wasted in the world. That makes up 46 percent of the world’s garbage, 59 percent of which ends up in landfills. While the world’s food waste situation is what you’d call a “doozy,” consumers and companies like HomeBiogas are determined to turn food waste into clean, usable energy. 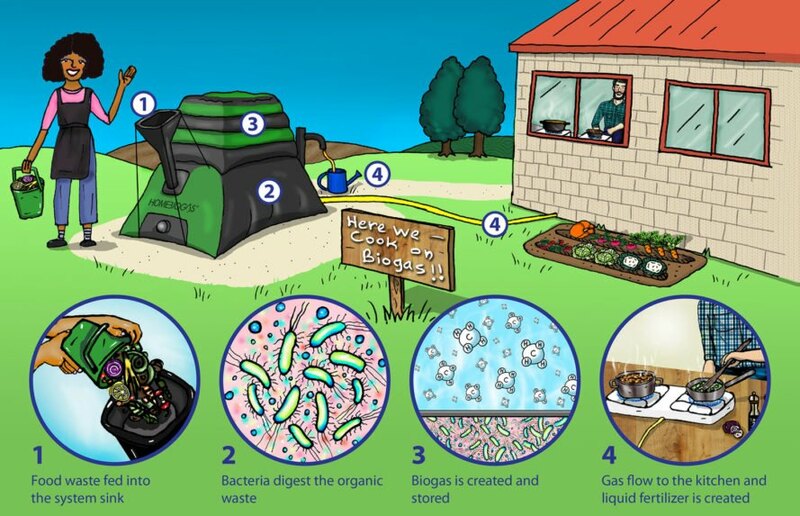 HomeBiogas is one of several successful projects to come about from Kickstarter. The Israeli- based company, which began its crowdfunding efforts in 2015, focuses on turning your everyday food waste into energy for your home. How do they do it? With compact, household-sized biogas digesters, which support the natural process of anaerobic digestion — in other words, a process with zero oxygen and hungry bacteria that are ready to dive into last week’s moldy bread. Since its launch in 2015, consumers have responded enthusiastically to the company’s efforts. In fact, they blew past their crowdfunding efforts for not only their first biogas product, called HomeBiogas, but also their second version, HomeBiogas 2.0, which exceeded its initial goal by more than 400 percent. In dollars and cents, that translates to more than $490,000. With the basics of anaerobic digestion, as well as the processes behind the original HomeBiogas, established, it’s time to move onto the performance and stats of the newest biogas from HomeBiogas — the aptly named HomeBiogas 2.0. HomeBiogas 2.0 offers an edge over its predecessor by providing the following advantages. 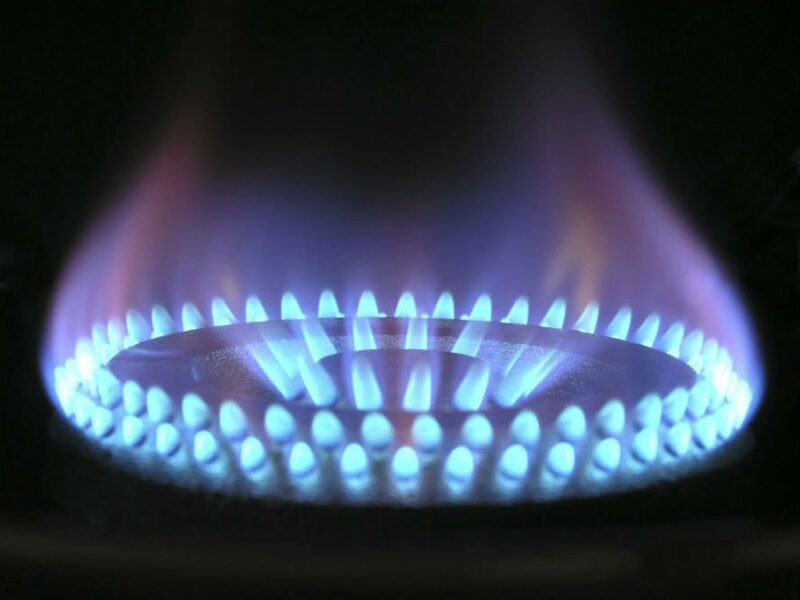 Applications for the clean energy, as well as liquid fertilizer, from a HomeBiogas include: Powering your stove or grill: Cook up to three hours each day. Just place your HomeBiogas less than 65 feet from your kitchen or patio and connect the two through the included pipe. 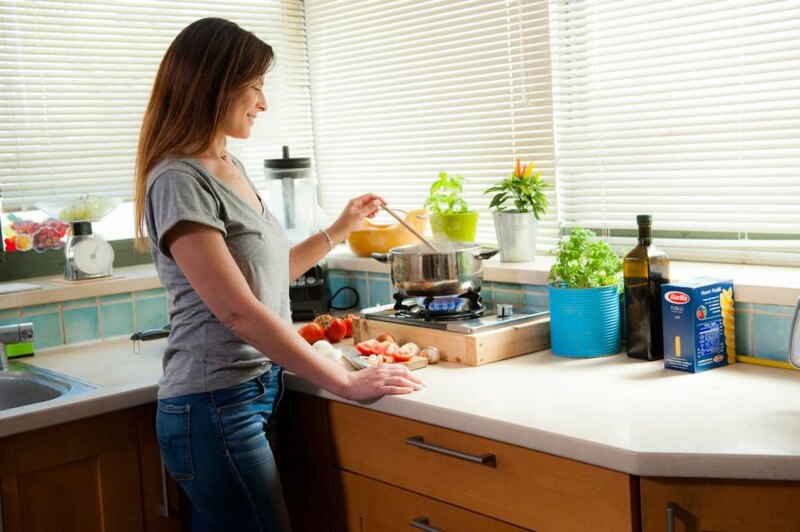 The biogas can connect to a countertop, as well as a double-burner setup. Fertilizing your gardens: Nurture your gardens with the liquid fertilizer produced by anaerobic digestion. HomeBiogas 2.0 features a user-friendly pouring sleeve, which makes it easy to dispense fertilizer into a water pail. Helping your neighbor: Provide families in underserved communities with the benefits of biogas. When you purchase a HomeBiogas 2.0, the company directs some of those funds to install biogas in countries like Jordan and Uganda to combat indoor air pollution from cooking fuels, which causes the death of more than 4 million people a year. 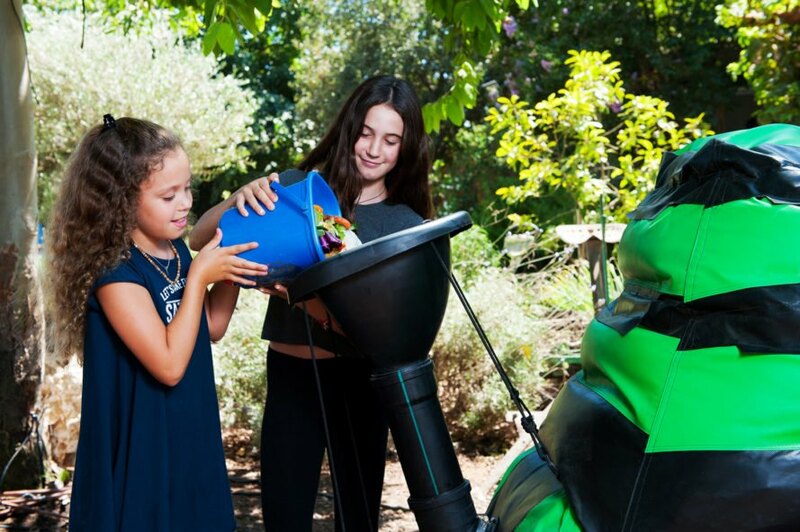 Whether you’re looking to fire up your grill without guilt or perform a random act of kindness, this new green technology from HomeBiogas offers you the option to produce not only clean energy, but also good feelings. No matter the brand, biogas delivers many positives to the world, including: Zero greenhouse emissions. Remember how biogas produces methane? Hearing that, many people think about greenhouse gases — especially since methane traps heat 86 times more than carbon dioxide. Biogas, however, creates zero greenhouse gases by converting methane to carbon dioxide, which is a natural byproduct of organic material decomposition. ike other renewable energy sources, such as solar, wind and geothermal, biogas is a renewable energy source — and one that’s financially viable for consumers. And as long as you have access to organic materials, like plants, you can count on the energy from biogas. As an additional benefit, biogas powers itself with pre-existing waste. Biogas also offers a solution to combatting the massive problem of food waste, while delivering clean energy consumers and companies can use in their daily lives.